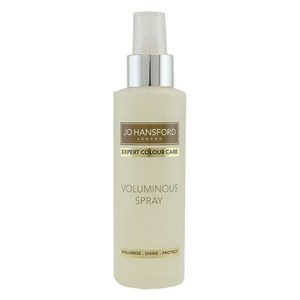 This weightless Voluminous Spray from Jo Hansford MBE, maintains strength to keep hair looking healthy. 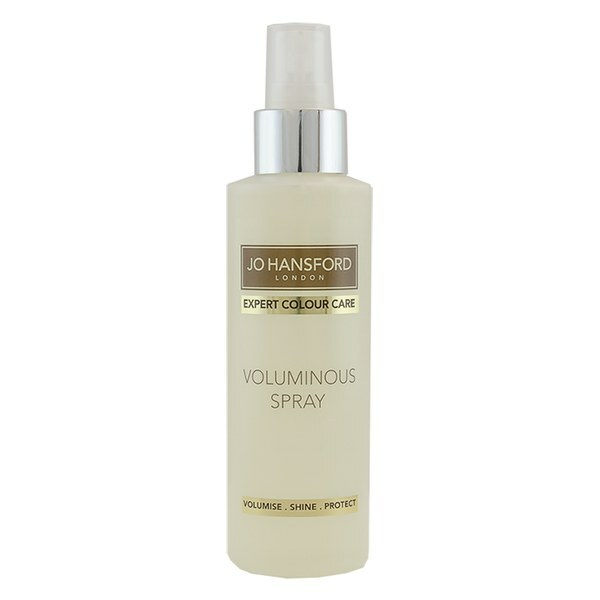 This specially formulated product contains key ingredients enriched with amino acids and colour protection technology to deliver long lasting results. Aquaflex XL-30 boosts volume and restores moisture, whilst Mirustyle X-HP reduces heat damage from hair styling tools, and improves radiance to leave you with a luminous shine. E.N. Directions for use: Apply 4-5 sprays onto damp hair, and comb through. Style as desired. Avoid contact with eyes.